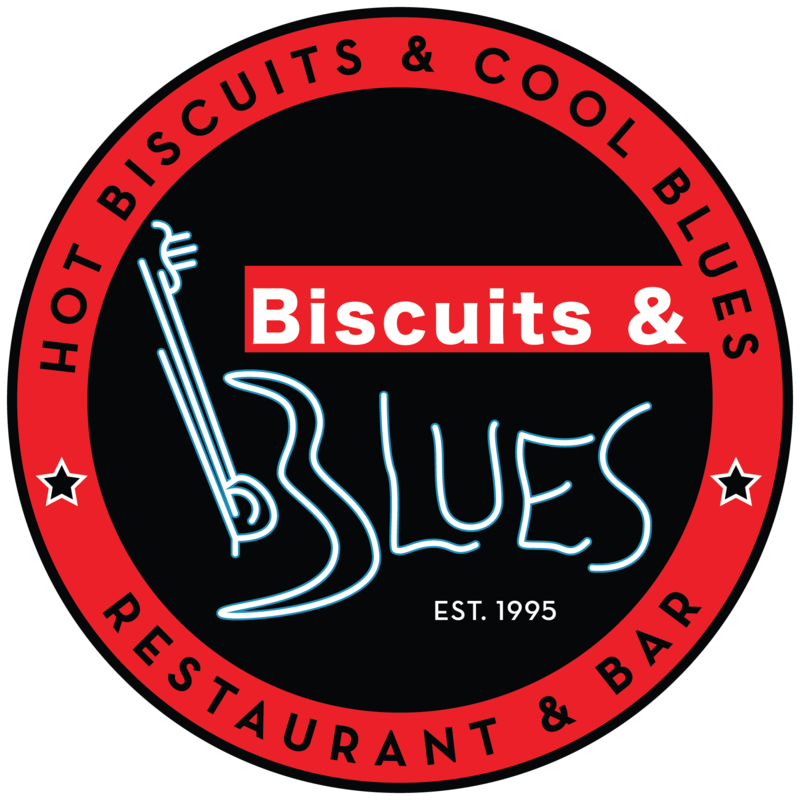 Sign up for the Daily Biscuit! 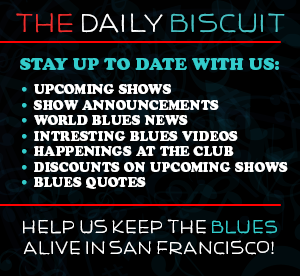 Thanks for your support in preserving the Blues in San Francisco! Lavay Smith & her all-star 7-piece little big band pay tribute to the swingin’ Kansas City tradition, featuring the music of Count Basie, Jimmy Rushing, Joe Williams, Helen Humes, Lester Young, Jay McShann, Walter Brown, Jimmy Witherspoon, Myra Taylor & Big Joe Turner! Lavay Smith is internationally recognized as The Queen Of Classic Jazz & Blues in the authentic style of the 1940's and 1950's. Lavay's last album received a prestigious 4 & 1/2 Star review in Downbeat magazine. For quotes and reviews from critics like Bob Blumenthal, Don Heckman, Phil Elwood and Frank-John Hadley. 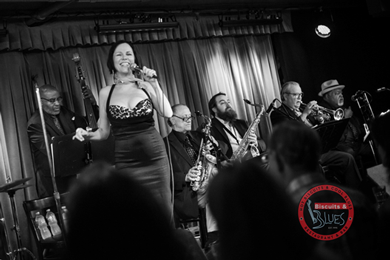 Lavay Smith is the vocalist and bandleader of the Red Hot Skillet Lickers, one of the top swingin’ Jazz and Blues bands in the world. Lavay grew up in Southern California and the Philippines and has become an internationally recognized Diva of Jazz and Blues, with a singing style influenced by Billie Holiday, Dinah Washington, Bessie Smith, Little Esther Phillips and other legendary greats. Whether singing her own compositions or drawing on a large repertoire of classics, Lavay and her all-star 7-piece band bake up an instant recipe for dancing and good times.